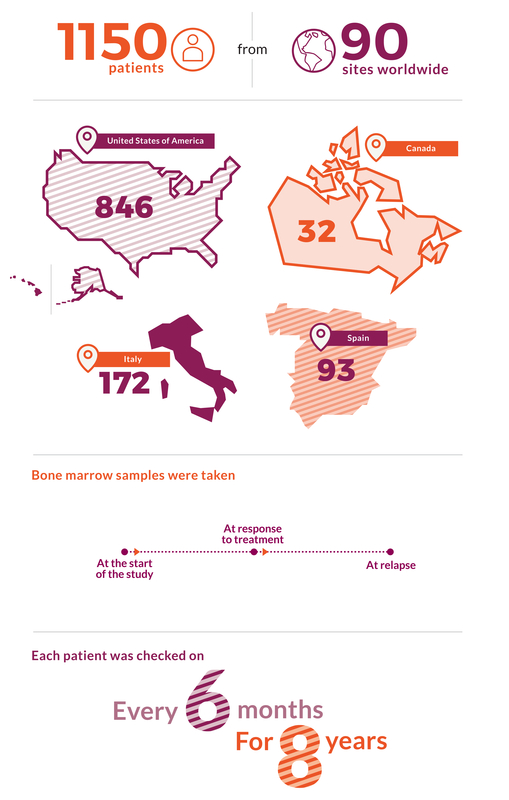 The MMRF CoMMpass Study seeks to connect every person with multiple myeloma to what they need to make the best possible treatment decisions at the best possible time. Our vision is to track every single patient with multiple myeloma so that their treatment and results can be used to guide decisions for every new diagnosis. Think of it as crowd-sourcing cancer treatment. We’re not there yet, but CoMMpass is a good start. CoMMpass studies the widest range of patients. This helps make sure that whoever you are, if you have multiple myeloma, there’s someone in CoMMpass like you. Getting so many multiple myeloma patients together is already yielding powerful results. With CoMMpass, we can tell what treatment people took, for how long, and how well it worked. We can tell who’s at higher risk and who isn’t, which can help guide treatment decisions and help us decide what kinds of medications are needed. Talk to your doctor about your myeloma and what treatment(s) might be right for you. These findings are just the beginning. The next step is to study more patients and identify more types of multiple myeloma, in the hopes of discovering more pathways to a cure.